This is the oldest of the sketches in this gallery; I first outlined it in pencil in the late 90s, but quickly dropped it because I was unhappy with the direction it was going. 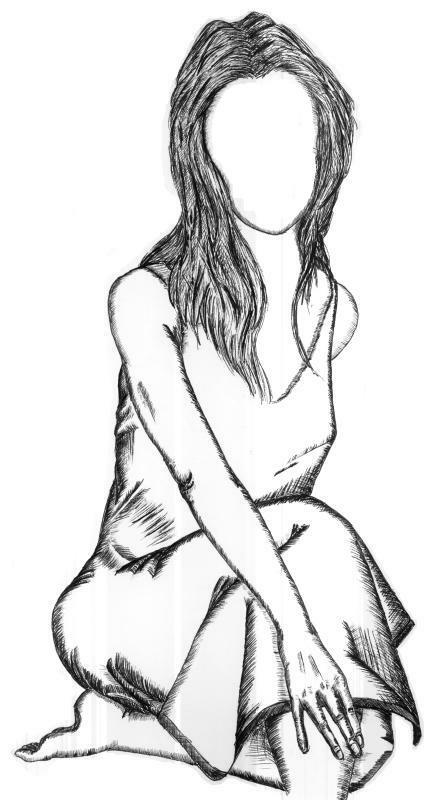 After inking and scanning it I erased the face, which had always disappointed me due to its flatness and gross asymmetry. I prefer this version, which rather drastically alters or even diminishes the figure’s sense of identity. Black rollerball over pencil on 11”x14” drawing paper.